The new year is here – put down that last sugar cookie and start filling your calendar! If your resolution was to do more travelling in the Great White North, you’re in luck. There are loads of intriguing destinations awaiting your arrival, from British Columbia to Newfoundland and Labrador. Whether you want to make use of your lucky skis or your super flattering snorkel mask, you can find the perfect spot to spend your vacation time in 2016. Here are the top 10 Canadian cities to visit this year (in no particular order). 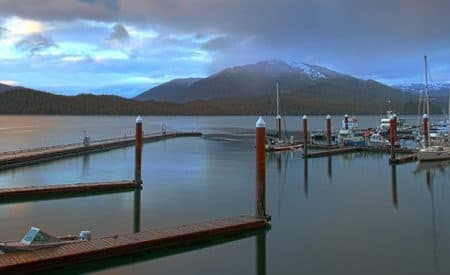 This slice of harbourfront heaven is on Vancouver Island. Why do you need to pay it a visit? The reasons have a little something to do with the thriving arts district and bounty of heritage buildings, and a lot to do with the lively waterfront district. 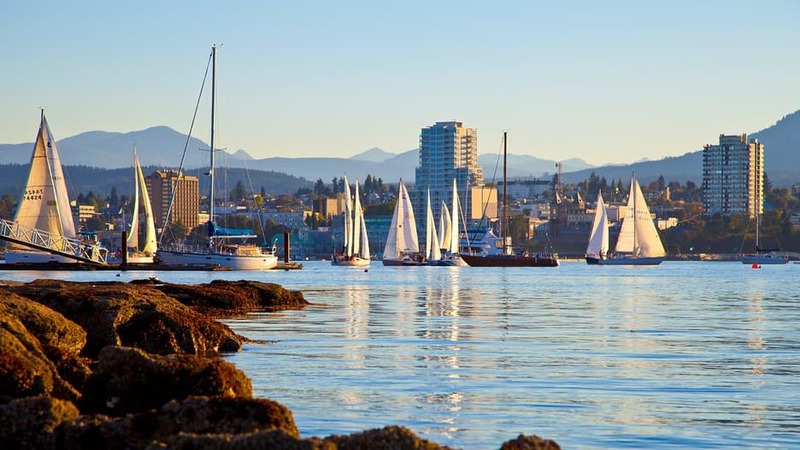 You may visit Nanaimo for the scuba diving and swimming lagoon, but you’re sure to stay for the loads of restaurants and bars along the shore and the short ferry ride to Canada’s only floating pub. The best time to visit is during the summer, when the climate is mild and you can make the most of the outdoor amenities. Book a room at Coast Bastion Hotel for a stay at an eco-friendly accommodation with stellar water views. If “walkable city” is high on your priority list when you’re seeking a new travel destination: Welcome to Halifax. Of course, if you get a hankering for tobogganing (and who doesn’t, from time to time), the capital of Nova Scotia is still an excellent place to visit. You can also feast on ocean-to-table cuisine until the button pops off your jeans, then meander through the Halifax Public Gardens. 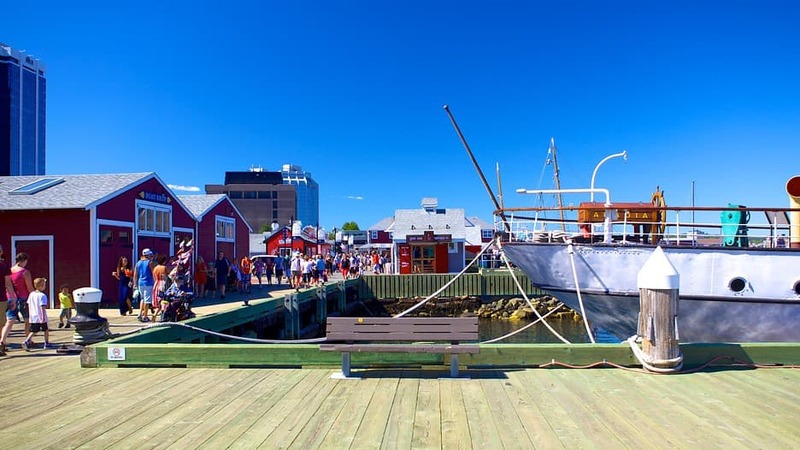 Historians of all ages will also want to visit the Maritime Museum of the Atlantic, where one of the world’s most impressive Titanic collections is on display. Visit Halifax from May through October, when the weather is best and the number of events is truly impressive. Book a room at the Prince George Hotel for world-class amenities and service. For a quiet retreat in 2016, head to the alpine town of Jasper. Set amid the towering trees and rugged mountain peaks of Jasper National Park, this unique destination will have you switching off your smartphone (Candy Crush will keep). There are any number of reasons to pay the town a visit: hiking, biking, canoeing, and skiing to name a few. If you keep your eyes peeled for Big Foot as you make your way to the turquoise lakes, we won’t judge. Any time is a good time to visit Jasper; canoe and hike by summer and snowshoe by winter. If you get chilly, forget about your slippers and head to Miette Hot Springs for a dip. Stay at Pyramid Lake Resort and you can write home about your personal, in-room fireplace and private trails. 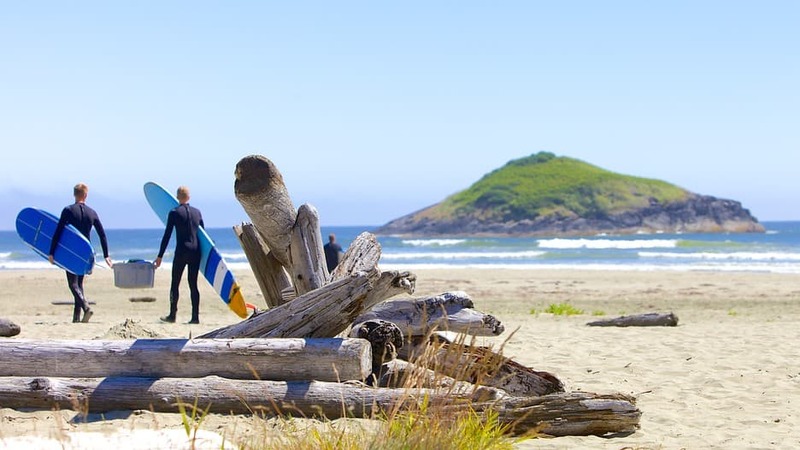 Tofino is beloved because it’s quiet, funky, and the surfing is great. It’s a safe bet you’ll love it too. Grab your board when you head to this Vancouver Island destination – the North American surfing is at its peak here. Of course, you can also spend your time whale watching or investigating Hot Springs Cove. Storm watching is another favourite pastime here, so bring your camera and don’t tell your mom what you’re up to (she might get nervous). Go in the winter for storm watching, or pay a visit from May to October for drier weather and better whale watching. A stay at Cox Bay Beach Resort gives you direct access to the sand. Spend some time walking on the ocean floor in 2016 – just because you can! 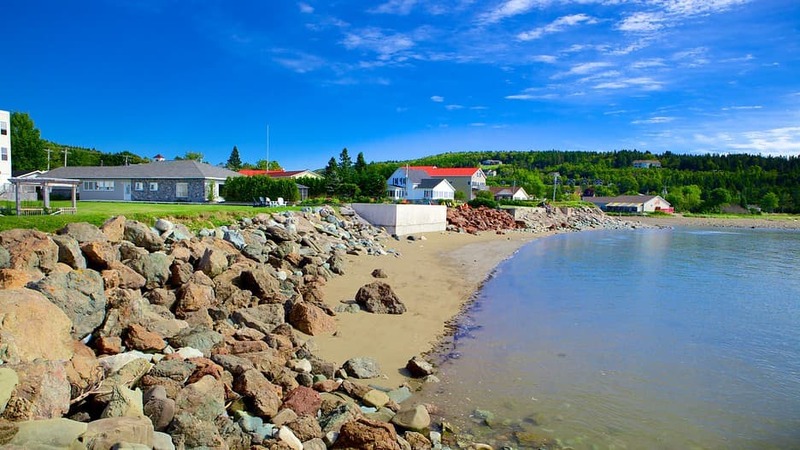 When you book a trip to Alma, located on the shores of Bay of Fundy, you can witness the famous 50-foot tides first hand. At low tide, you can walk out and wiggle your toes in the sands of the ocean floor. While you’re there, be sure to nosh on locally-caught lobster. The best time to visit Alma is summer, when you can witness the breathtaking tides from the docks in Alma Harbour. However, if you visit during the winter, winding snowmobile trails await. Stay at the New Horton Lake Inn: You can’t beat the private garden and spacious front porch. Quebec City has maintained its European charm and French heritage, of that there is no doubt. Why should you visit in 2016? Tu vas l’adorer, of course. That’s “you’ll love it,” for our non-French speakers. The city’s Old Town district is a UNESCO World Heritage site, and you’ll be impressed with the array of art, culture, and food. 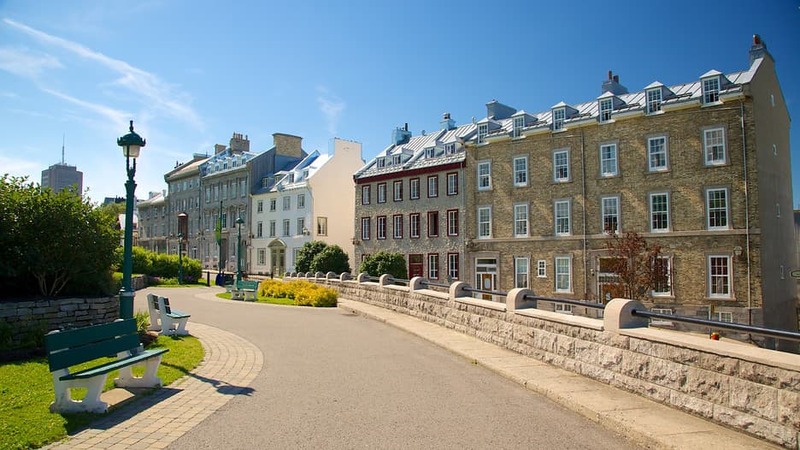 But some of Quebec City’s best assets are found in the quieter attractions: the faint cracks in its storied cobblestone streets and the fresh air wafting through public parks. If you want to avoid high season, keep Quebec off your calendar between the end of June and early September. Spring and fall are lovely times to visit, and you’ll have more of the city to yourself. It’s hard to beat a stay at the Auberge Saint-Antoine, which is known for its fine service and walls laden with French art. Kingston’s title as capital was short-lived, but its reputation as a hub for culture is going strong today. Not only can you enjoy a Thousand Islands cruise out of Kingston, but you can put on your best elbow-patch jacket and explore the likes of Fort Henry National Historic Site and the Bellevue House. The best time to visit Kingston is the summer; winter months can be bone-chillingly cold, while summer temperatures hover at a much more temperate degree. Book a room in at the Secret Garden B&B Inn, where you’re treated to a boutique-style experience and plenty of character. We think a visit to the 1,000 islands area is always a good idea. In 2016, treat yourself to a vacation to historic Brockville, where the menu of indoor and outdoor attractions is extensive and exciting. Make sure to visit the notable Brockville Arts Centre, one of the best historic theatres in the whole country. Then walk the Brock Trail or paddle down the St. Lawrence River. 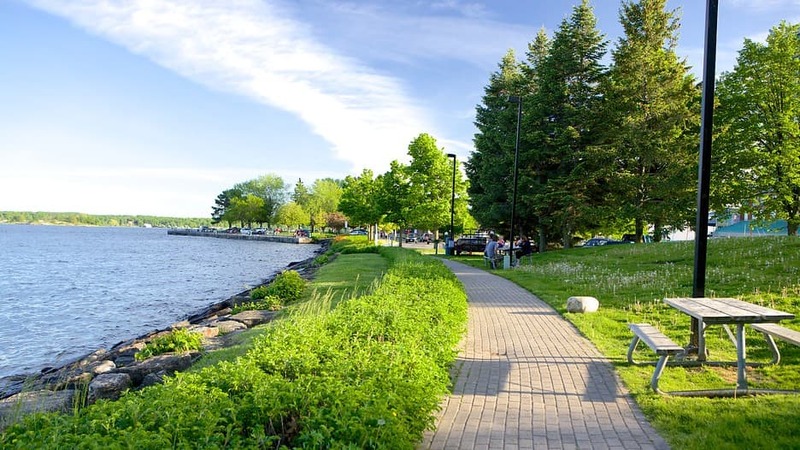 Brockville is friendly and scenic – you’ll be taking postcard perfect pics from the moment you arrive (get your Instagram technique ready). Summer and winter are both good times to visit; when the landscape freezes over, snowshoeing and skiing become favourite pastimes. Stay at the Pine Street Inn B&B for charming accommodation – rooftop terrace included. The City of Legends (otherwise known as St. John’s) has the cosmopolitan nature of San Francisco, but it has never lost its small town charm. People love it for lots of reasons, from the character of historic Water Street to the stunning natural landscapes. 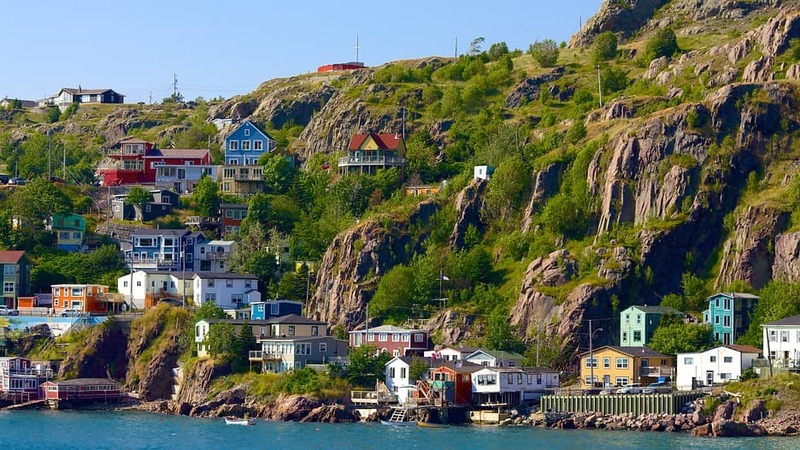 You can visit St. John’s with action on the mind and go ziplining or kayaking, or show up with an empty stomach and snack your way down George Street. Temperatures in St. John’s will never be mistaken for Mediterranean, but July and August offer something close to temperate. Of course, if you love the chill, you can visit in winter for a cool weather hike along the East Coast Trail. Book a stay at the Murray Premises Hotel, in the heart of the city, and you’ll have brick walls and stone fireplaces to keep you cosy in your room. Regina is the sunniest capital in the country and the home of the Royal Canadian Mounted Police, just to name a few of its bragging rights. It’s also a major city with tons of family-friendly bike trails, attractions, and the charm of hand-planted trees. 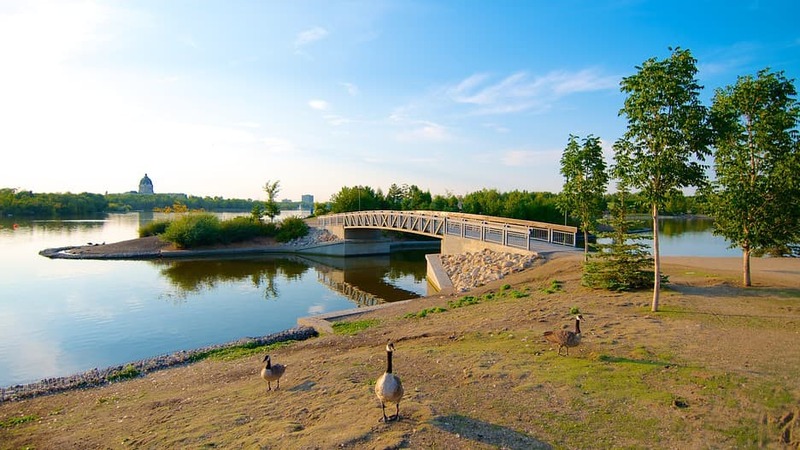 You can visit Regina for many incentives, including vast Wascana Park and the Regina Globe Theatre. Go ahead, grub on food cart offerings in between visits to the Saskatchewan Science Centre and Government House. The best time to visit the sunny capital is between May and September, when you can linger around Wascana Lake without catching a chill. Stay at the Delta Regina, and you’ll be in the heart of the city with views to brag about! Ready, set, pack your bags! The top 10 cities in Canada are waiting for you to check in. Yeah I live in brockville. that’s a complete lie. Don’t come here. I live her too and its a beautiful city. Do not miss it! Brockville is a nice place! Travel 20 miles west from there to Gananoque and the Thousand Islands. Personally, I think that the City and the 1000 Islands region are a real jewel. As fortunate residents of this Eastern Ontario community, we ought to treat our city, its citizens and visitors with honor and respect. Our words are not only a reflection of our thoughts, but also an expression of our hopes. Let’s all take some personal ownership and build our city up to be something that we can all be proud of. You have a picture of Victoria, BC instead of a picture of Kingston, ON. No. That would be Kingston. Victoria, BC is beautiful! It should definitely be on the list. ..Butchart Gardens. .. come on! The Gardens are beautiful and the city is beautiful. We lived in Victoria while was husband was based at Esquamilt. Sorry to say I don’t know where that picture is, but definitely not Victoria BC inner harbour. Victoria is my home town and that is not it! Are there other pictures posted other then the picture above the city name? Because the one above the name is definitely the waterfront in front of city hall in Kingston. I know that view very well. Well tried but in French “you’ll love it” is “Tu vas l’adorer”, not “Tu vas l’adoreras”. I’m pretty sure the picture of Kingston may actually be a picture of Victoria, BC. It is kingston, Ontario. Clock tower is City Hall. That’s Kingston’ s small craft harbour with the city hall in the background. I can see how it might look like the BC legislative Building. NO its not I looked and I recognize city hall where I work as well as the BWB! This is definitely Kingston!!! That’s NOT Victoria, I should know….I live there!! I was in Kingston last summer and have a picture just like that one. Great cities! 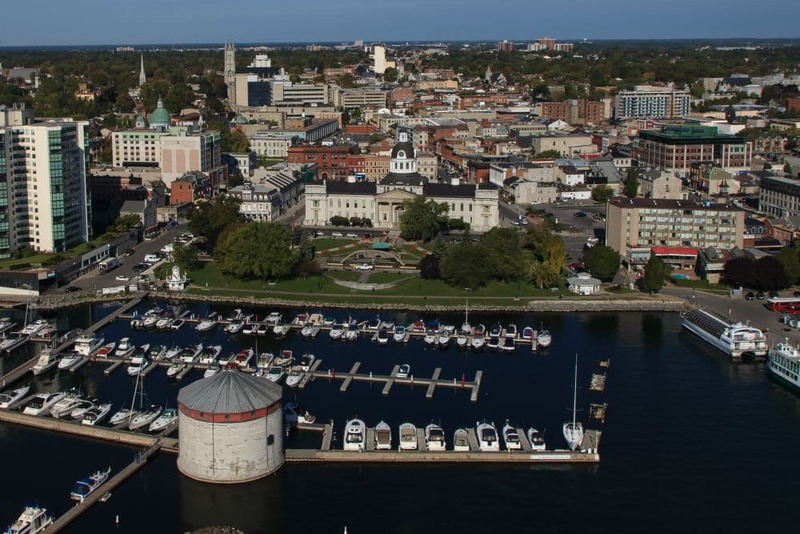 However, that picture of Kingston ON looks like Victoria BC!! Not even CLOSE….NOT Victoria, parliament buildings are twice that size and the waterfront has a huge stone wall and large walk-around with art and entertainment, etc!! The photo for Kingston is incorrect. Your article states that you can only get to Tofino by ferry or plane. WRONG. …been driving there for years. It is apart of Vancouver Island! Your incorrect about Tofino! There is a highway that goes there from Parksville. You can drive or bus to Tofino as well as boat and plane. Great descriptions of these great Canadian cities. Just to note, though, you can reach Tofino by car. I’ve driven across from the east coast of the island, through the astonishing Cathedral Grove Park and Port Alberni (a sea port in the middle of the island) right over to Tofino on Vancouver Island’s west coast many, many times. Just a thought. Maybe put a picture of Nanaimo, not Port Alberni, with the section on Nanaimo. Great piece but one of the pictures is wrong. The photo for Nanaimo looks like Port Alberni. All very lovely Canadian cities, Lara. But they are not from British Columbia to Ontario as the article states. They are from British Columbia to Newfoundland & Labrador. Thanks for the lovely pictures and words about a few of my favourite places. – The photo for Nanaimo is not Nanaimo; it looks like Port Alberni. 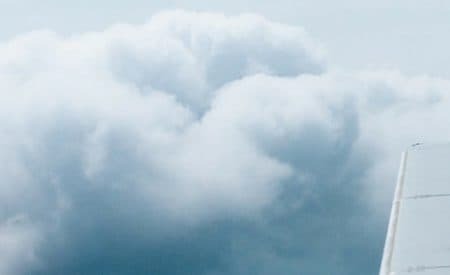 – You do not have to fly or take a ferry to Tofino. You have to take the ferry or fly to Vancouver Island, then you can drive to Tofino. Although you can probably take a charter in Vancouver to fly to Tofino. Unless it’s been changed, the picture of Nanaimo is most CERTAINLY Nanaimo. Coast Bastion Inn on the left, Pacifica Condos in the center and Seacrest Towers(our original “high rise”) on the right. Thank you for the input, everyone! The info has been updated. Glad you liked the blog, and feel free to share your favourite spots to visit in 2016! Lara that picture of Kingston is right I know City hall where I work and I know the BWB so your right with the picture there. I am a local and know Kingston well!! The picture you have for Kingston, IS DEFINITELY NOT Victoria, BC! Could the picture of Alma, NB show the Bay of Fundy and the tides, since that is what is described? Good list.